Here are pictures of the most beautiful flutes I own. 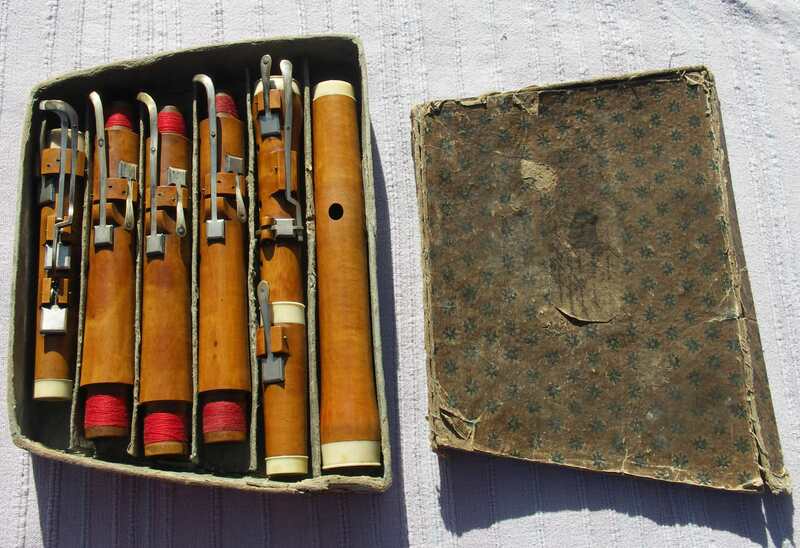 A photo of the same flute in the box, unfortunately the writing on the lid is not completely readable. 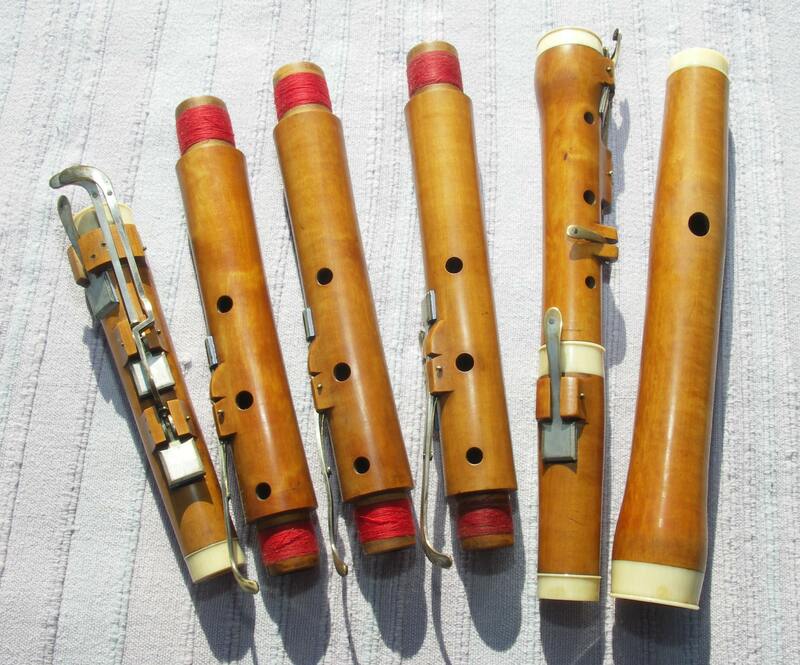 A beauty is the 8 keyed flute 438 Hz by Johann Gottlieb Streitwolf, ca. 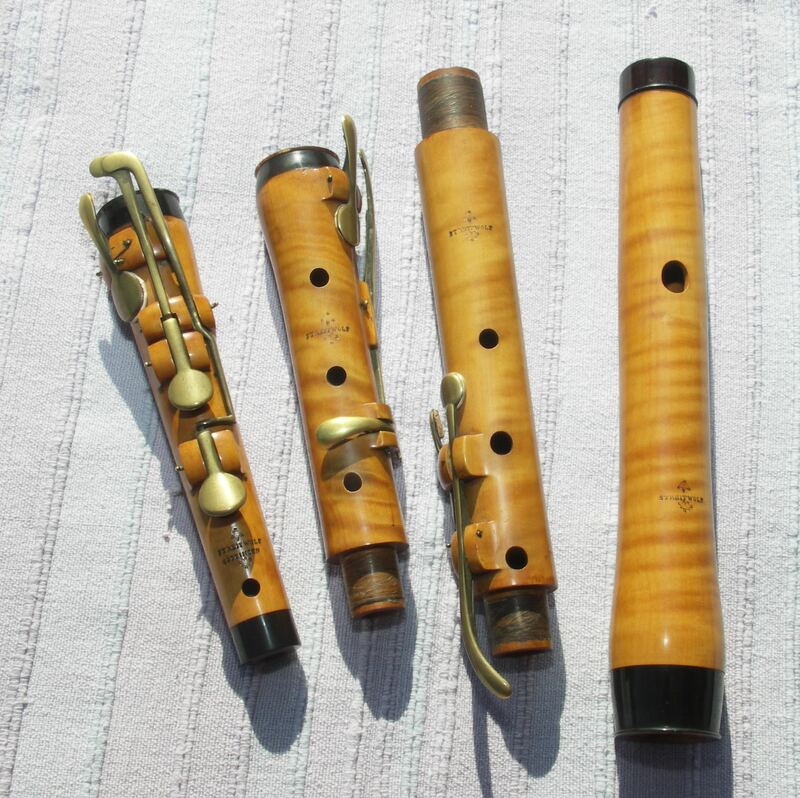 1830, later Streitwolf built flutes with a nearly rectangle mouthhole. Some intruments of him are kept in different museums, like Oxford Bates Collection, Germanisches Museum... Streitwolf was a well known and very good instrument maker, he built flutes as well as clarinets and oboes.